The ability to test a drug in human models without actually testing it in humans seems almost like science fiction, but a new technique to do just that is quickly generating interest in the work of Dr. Penney Gilbert’s lab at the University of Toronto. Gilbert and her team have developed a way to use stem cells to build miniature models of human skeletal muscle tissue in a dish. This process allows them to create different cellular models to observe specific interactions, for example, communication between nerve and muscle cells. This type of model is more physiologically relevant than traditional techniques and allows them to see whether a certain drug or treatment has a positive or negative impact on human neuromuscular junction. The assay (test) that Gilbert and her team have developed puts both of these steps into one. “We can find out whether we have a drug or a molecule that makes not only more stem cells but determine whether they’re really, really good at their job, and can make the correct cells” she says. On the flip side, companies can also test to see if drugs designed to treat other conditions, such as cardiac disease or diabetes, may have a toxic effect on muscle, helping to better understand and identify potential issues. This can help a company better determine if a drug can safely move to human tests and, if so, what populations might need to be excluded because of potential negative side effects. Gilbert has also had a lot of interest from other researchers, who can use the assay to better study the process of muscle stem cells repairing damage in real time, replacing the need for animal models where it is often difficult to observe this process. Furthermore, by studying this process in a human model, they can better understand development and disease progression in the population they wish to treat. And the potential for positive benefits to patients is one Gilbert sees as very tangible. 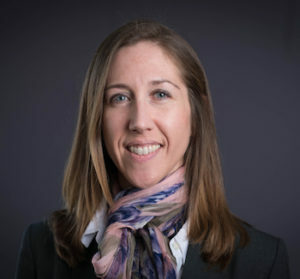 “Our interests at this point are in identifying drugs and compounds that can improve muscle quality in the context of Duchenne’s muscular dystrophy and also aging muscle,” she says, though she will rely on clinical collaborators like Toronto’s Dr. Jane Batt to help guide the direction her lab takes when looking at the needs of patients.